lower left in plate: Rigaud pinxit. ; lower right in plate: F.Bartolozzi sculp. Tuer, Andrew W. Bartolozzi and his works. 2 vols. London: Field and Tuer; Hamilton, Adams and Co.,1881. 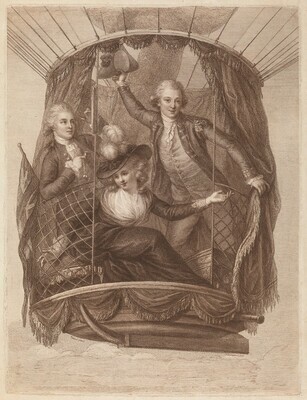 The Balloon: a bicentennial exhibition. University Art Museum, University of Minnesota, Minneapolis, 1983: 98.